The Wall Street Journal researched several of his lectures in 1987 and reported that he was sometimes loose with the facts. 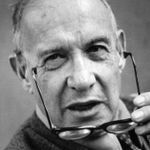 For his article "What Makes an Effective Executive" Harvard Business Review honored Drucker in the June 2004 with his seventh McKinsey Award — the most awarded to one person. He was also a leader in the development of management education and he invented the concept known as management by objectives.